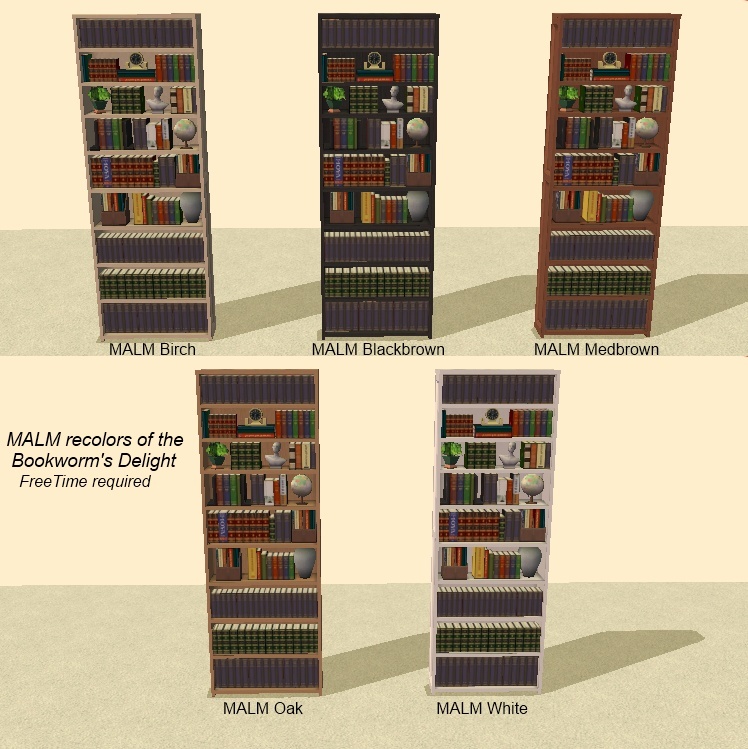 This is a set of recolors of the Bookworm's Delight bookcase from FreeTime, in MALM colors. 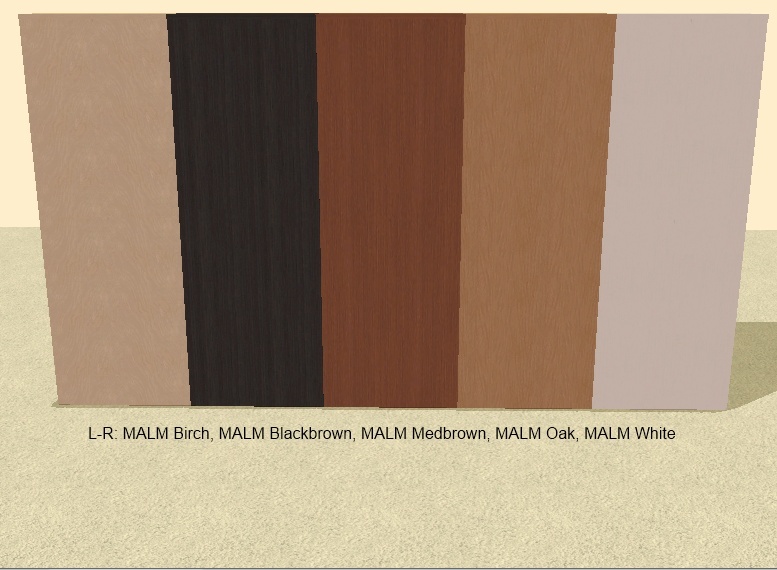 I've been using bumblebee560's AL Wood recolors, and finally decided to get off my tail and do a MALM set using the Craftmeister Booknook textures from Michelle's MALM recolors of the base game bookcases. Resources are compressed in SimPE. The Bookworm's Delight is the Dahlen bookcase from University with some knick-knacks mixed in with the books. The knick-knacks are meshed and textured as part of the frame subset, so while the wood texturing is the same, the Bookworm's Delight can't be repositoried to the Craftmeister Booknook, because the Craftmeister textures don't have texturing for the knick-knacks. While the frame for the Bookworm's Delight has to be recolored separately, the books can be repositoried because they use the same base-game texture that the Craftmeister and Dahlen use. So, as a bonus, I've included a CEP-Extra that slaves the books for the Bookworm's Delight to the Craftmeister Booknook. 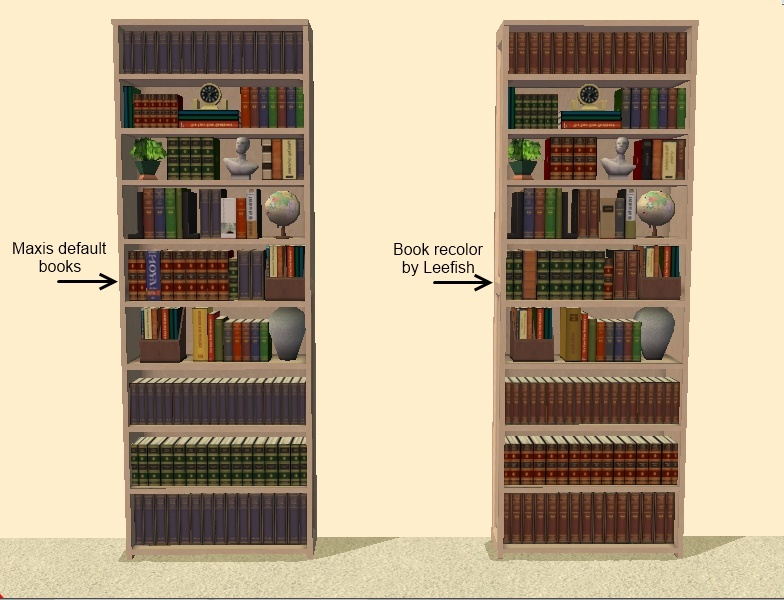 This will use any book recolors for the Craftmeister Booknook that you may have. If you use the FreeTime version of Michelle's Buyable Bookshelf of Education, and would prefer to use her book recolors for the Bookworm's Delight, I've also included a CEP-Extra which slaves the books to it. You can only use one of these files. The book recolor is from Leefish's Move Over Dahlen set. 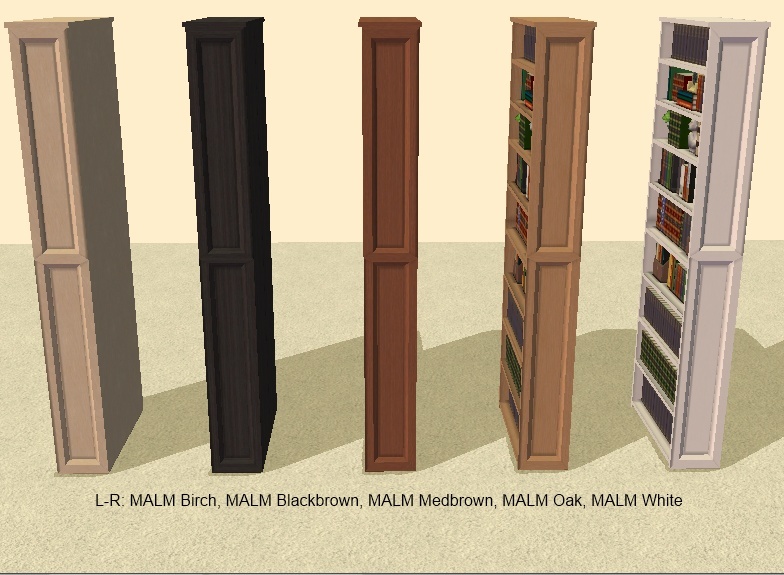 Maxis, for the original bookcase, and for the MALM textures. Michelle, for the Craftmeister recolors. 34 people have said thanks to dharden for this download.